The Jumps season is back, and it came back with a bang - full of controversy and plenty of names to remember for the forthcoming season. Racing returned to HQ at Cheltenham for the Showcase meeting on Friday and Saturday, and we were treated to some striking action. Lil Rockerfeller once again rewarded his backers with a game performance in the Matchbook Time To Move Over Novices Chase. He put a few mistakes right early on, a ran on gamely up the hill to win by four lengths, and it will be interesting to see what route he takes on the way to the festival. Thomas Darby won an exciting maiden hurdle for upcoming trainer Olly Murphy, whilst Dinons, trained by Gordon Elliott (prev. assisted by Olly Murphy), bolted up in a novices hurdle on the Saturday, scoring by almost fifteen-lengths. However, the biggest talking point will come from two identical incidents in two very different races. Both One For Billy and Oighear Dubh ran out after jumping their last respective obstacles, only to run through the false railing up the straight. Officials at Cheltenham have called for an immediate review after these horses ran out in the closing stages, and lost all chance of winning. The configuration of the course means that after the runners jump the final fence, tape is put across a section of the track to doll off the run-in from the rest of the course. The permanent plastic railing takes at least three minutes to construct and would therefore be impossible to put into place by the time the runners go round for their final circuit. Elsewhere, the final flat Group 1 of the season was the Vertem Futurity Stakes at Doncaster on Saturday. It was won by Magna Grecia who now throws his name in the hat for the classics next season. Charlie Hills' Phoenix of Spain was third, and John Gosden's hopeful Turgenev, faded back into a disappointing seventh. Aiden O'Brien followed up his season ending Champions Day winner (Magical) last week, with three of the first four in the Doncaster feature. 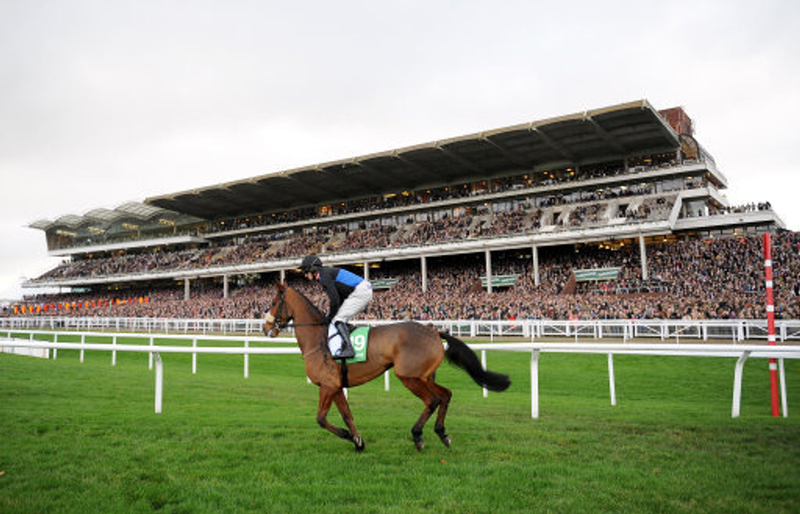 Yesterday, jumps racing also returned to Aintree - home of the Grand National. The feature race was the Old Roan Chase, a Grade 2 contest over 2-and-a-half miles. It was a win for the Paul Nicholls trained Frodon, and another graded success for Bryony Frost, who since returning from injury last week, has been in the winners enclosure four times. Javert who gave his all for Emma Lavelle was second, and the 11/4f Cloudy Dream was back in third. There was also a surprise jumps success for Ballydoyle. as Ready and Able, sporting the Derrick Smith colours - more known for his exploits on the flat, completed a hat-trick in the Conditional Jockeys Handicap Hurdle. A smart performance too by the man in the saddle - Jonjo O'Neill Junior, who is certainly one for the future.